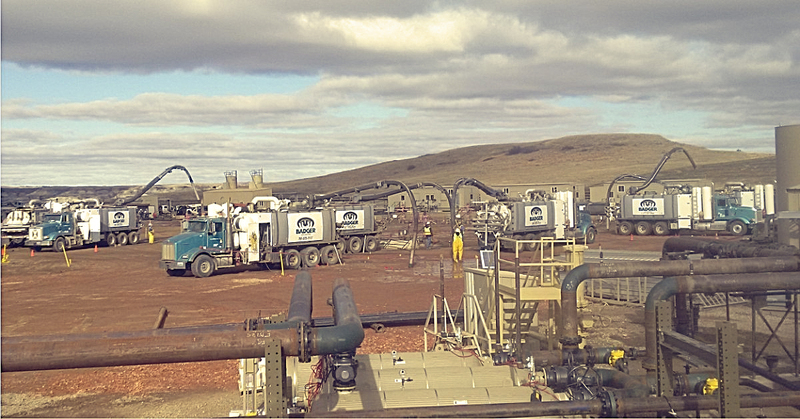 The Oil & Gas industry has a significant financial investment in pipeline and oil field infrastructure which they implicitly trust Badger Daylighting™ and the Badger Hydrovac System to provide safe hydro-excavation and daylighting services to meet their high safety standards and protect their assets when unearthing buried pipelines. Badger Hydrovac trucks use a high-pressure water and vacuum system to trench and dig with superior accuracy. The Badger Hydrovac System is the simply the safest way to dig through varied soil conditions while keeping buried pipelines and other underground utilities safe.